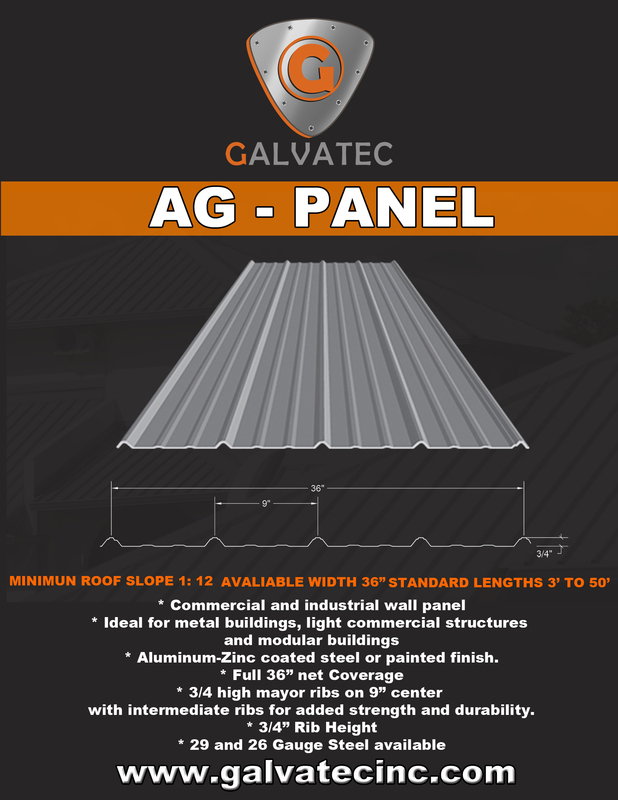 The AG Panel is an exterior wall panel that is usually of a single continuous length from the base channel to the eave of the building except where interrupted by wall openings. Diaphragm or racking strength of the wall and roof systems depend on the manufacturer’s panel lap seam assembly and should be qualified by full scale testing. Openings reduce the local structural capacity of the wall or roof assembly and should be considered in the original structural design.